colour... again in Western Australia and the lesser of the two circles over Melbourne, Victoria. correct question is "What type of government installation is located at the center of that image"
an omni-directional antenna, you have a “bubble” or “shield” around the transmitting station / area. Hope this helps. Its nice to see tax dollars at work doing something good for a change. 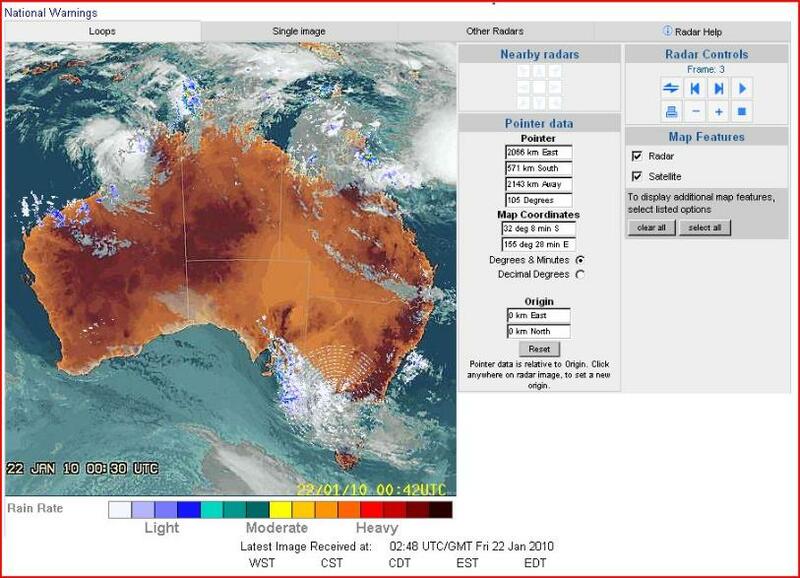 comments = Re:Strange Austrailian weather artical. facility used by DSTO for ongoing OTHR improvement. 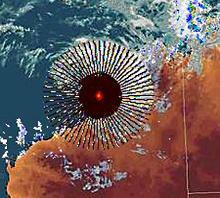 Could not help seeing one comment re the unusual rings in the Kalgoorlie SW Oz area. station to experiment with some tesla or scalar device. horizon radar" I believe is based out near a town called Laverton north of Kalgoorlie. Sorry that’s all I have. experiments now under way over huge country. occasion somehow it seemed right that I should. the national radar in Australia. 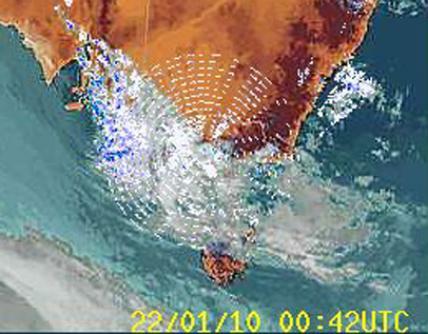 The Melbourne Airport radar shown out of action on January 18th 2010. The ring over the south east appeared approximately 30 seconds before the bizarre red star over the north west. military base sth east of perth plus I'm convinced they have a portable device that is used frequently. 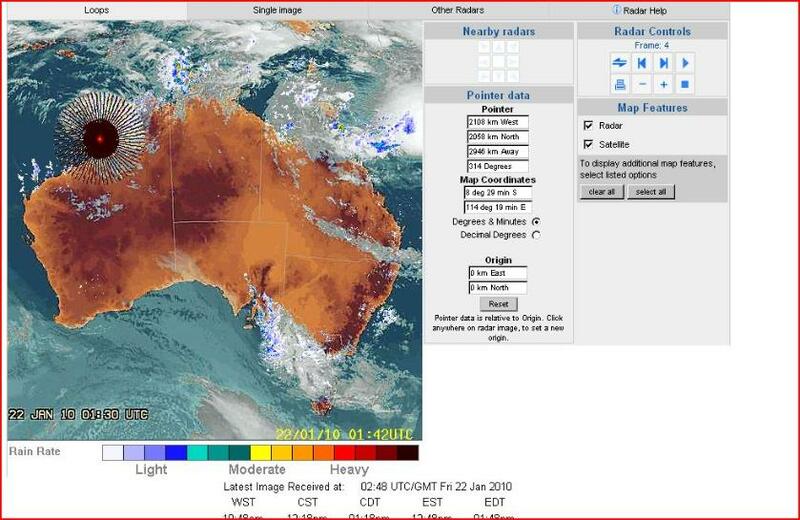 weather happening here - please check"
the Halls Creek radar facility...or could be touch further north at the Wynham facility. 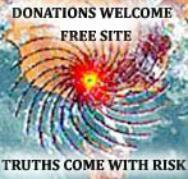 HAARP WAS RAMPED UP FOR TWO DAYS - OFFICIAL DATA. as they come on the subject. I will report back what they have to say. Closed as of 1630 hrs US eastern time, January 22, 2010. Below is the actual loop of this effect appearing on the local Broome radar, also shows the histogram.